Metal Muzzle - 190P5 - Las Vegas K9 Inc.
Suits for Rottweiler, German Sheperd dog (large). Circumference: 38 cm (15 in); length: 12 cm (4.7 in); height: 12 cm (4.7 in). 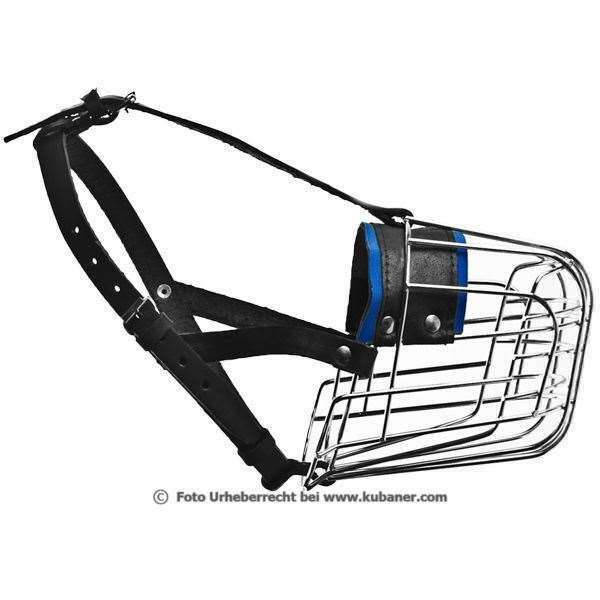 Traditional muzzle of metal for police dogs, a big classical in modern format. If you say to anybody the word 'muzzle', he'll think of a metal one for sure. Since it was planned for everyday use, it's light and comfortable for the dog, so it will be a normal part of his walking set. With wide straps and neoprene padding.